Muchas Gracias to my lovely friend Debjani for sharing this recipe with me. It is an absolutely lip-smacking side addition to the dinner plate on those special dinner or lunch occasions when you had the time and energy to make parathas at home. Goes well with rice as well! Roast the fennel seeds. Pound them to a coarse powder. 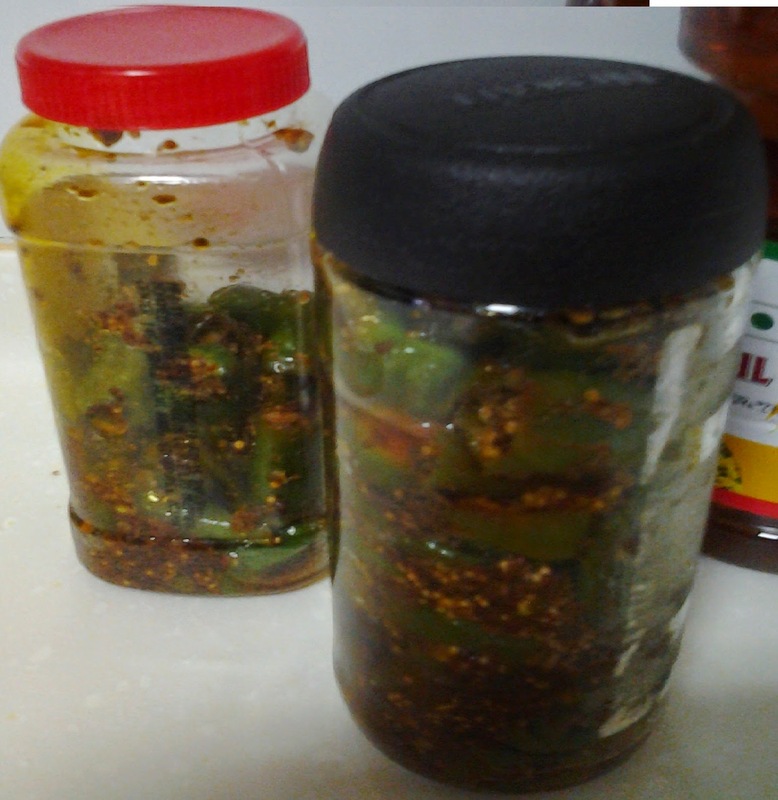 Put oil in wok, and fry seasoned chilies till the water from the chilies has dried up. Let it cool. Store it in a clean dry bottle in a cool place. I store it in the refrigerator, considering Singapore's evergreen hot and humid weather.